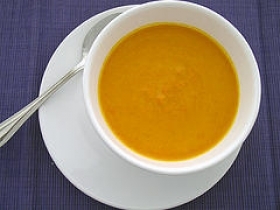 Have you made Carrot Soup? 1. 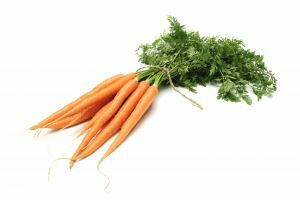 Cook carrots in stock until tender. 2. Drain and mash carrots, reserving liquid. Saute onions and bell pepper in butter until tender. 3. Add flour, stirring until smooth. 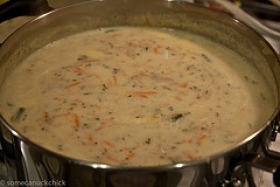 Gradually add milk; cook stirring constantly, until slightly thickened. 4. 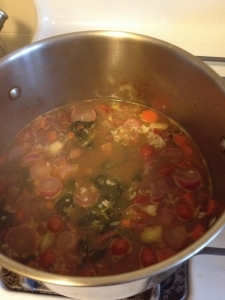 Add enough water to carrot liquid to make 2 cups. 5. 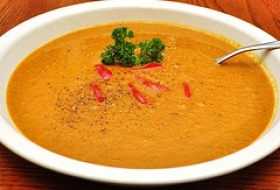 Combine liquid, milk mixture, carrots, cheese and spices. 6. 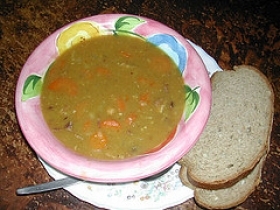 Stir constantly over moderate heat until soup is well heated and cheese is melted. 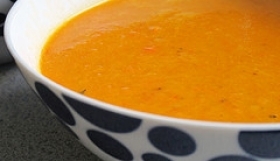 This recipe contains potential food allergens and will effect people with Wheat, Milk, Gluten, Bell Pepper, MSG, Poultry, Cheese, Hot Pepper, Onion allergies.